Dakar is one of my favorite races (can't really call it a series) to watch each January. Basically it started out as a race from a European city (Lisbon, Paris, Barcelona were former places it began) down through the western Africa, ending in Dakar, Senegal. The problem was in recent years was how big/famous it got, attracting both positive and negative attention. People were killed, racers were killed, entire sections of the race were canceled due to terrorist threats, so something needed to be done. The race was moved in 2009 to the South American continent. 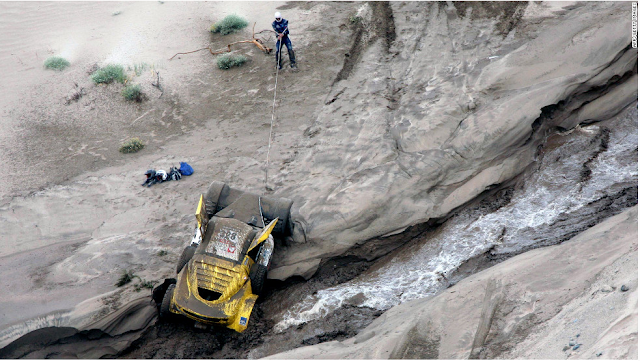 The race originated in 1978, a year after racer Thierry Sabine got lost in the desert and decided that it would be a good location for a regular rally. 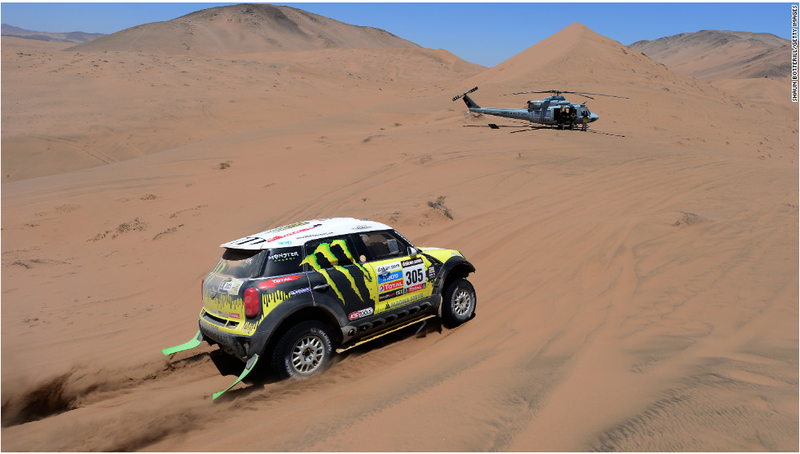 Originally, the rally was from Paris, France, to Dakar, Senegal, interrupted by a transfer across the Mediterranean. However, due to politics and other factors, the course, including origin and destination, has varied over the years. 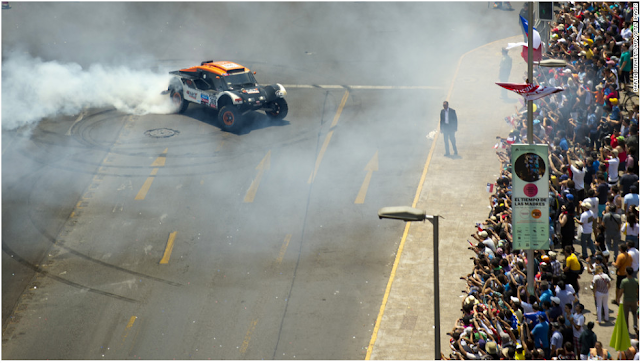 Dakar has been the destination city on all but four occasions during the period the rally was held in Africa (i.e., prior to 2009). The event started from Paris every year from 1979 to 1994, and also in 1998 and 2001. In 1994 the rally both began and ended in Paris but, due to complaints by the mayor, the finish had to be moved from the Champs-Élysées to Disneyland Paris. This also caused the organisation to lay out the rally through different locations in following years. There are 3 main classes of vehicles that compete in this grueling race. Vehicles are sponsored by both private parties and manufacturers. 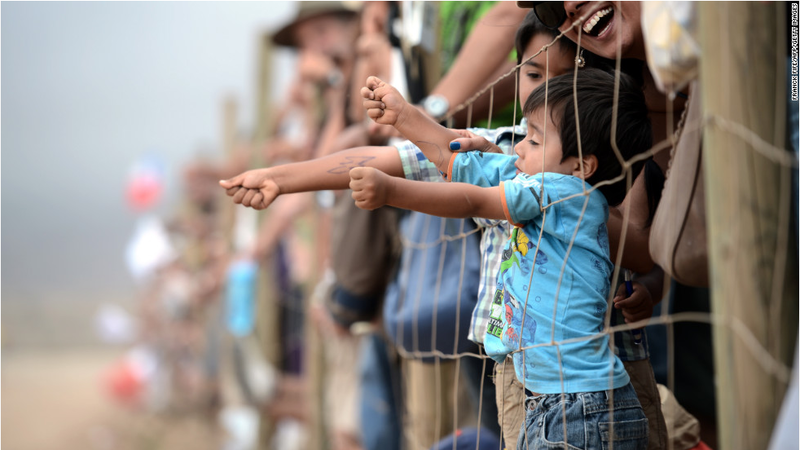 Spectators come from all over the world to watch on the sidelines. The race is broadcasted worldwide* as well. 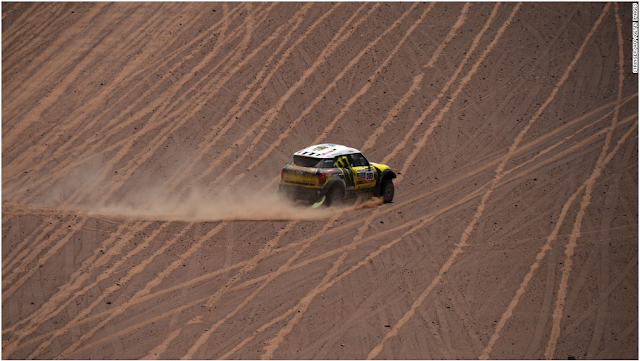 Anyway the point of this post... PICTURES from the 2013 Dakar. I do not own any of these pictures, their source is below. Click the sources for more pics and more info on one of the greatest races in all of motorsport.